If you are an ambitious and creative statistician or data scientist who is interested in real-world client problems, we’d love to hear from you. We’re particularly interested in candidates who are excited about the prospect of joining a growing business and becoming an important part of its success. 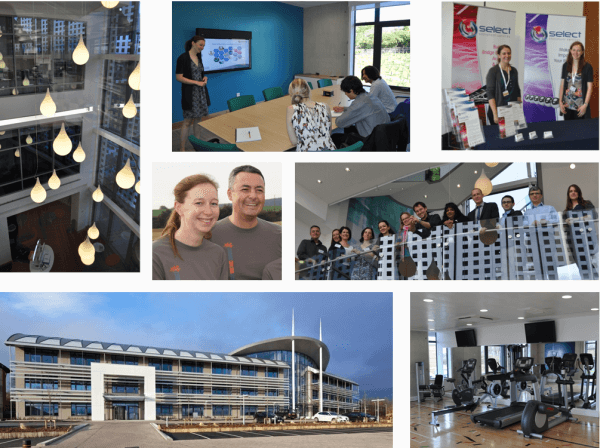 The team is based at our state-of-the-art office complex on the outskirts of Exeter within easy access to the lively city centre and just minutes from the National Parks and surfing beaches that Devon is famous for. We share a lively and very sociable working environment with a small group of like-minded companies that share our strong passion for data analysis and commitment to high professional, ethical and environmental standards. Fantastic offices with extensive on-site gym and sports facilities, café and social areas. Free on-site breakfast, lunch and afternoon tea (all organically produced and cooked fresh). Lively social calendar with regular sports training and competitions, social events and outings to local events. Staff and family-oriented organisation with strong commitment to staff development and support. For more information about each position, please follow the links at the top of this page. If you have any questions or would like more information, please email jobs@select-statistics.co.uk. To apply for a position, please fill out our online application form.